Need a New Date Idea? 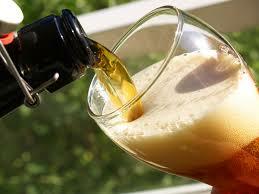 Check Out Louisville Beer Tastings | Joe Hayden Real Estate Team - Your Real Estate Experts! If you're stumped on where you can go for a date and you feel like you've exhausted all your best options in Louisville, you might want to consider a beer tasting. With a vibrant beer culture and craft beer week coming up, this might be a great idea for your next date! While it's more than just a beer tasting, the fifth annual NuLu Festival will have plenty of choice breweries for you to try out at this annual event. Taking place at the 700 Block of East Market Street on September 28, NuLu's end of summer block party will be featuring locally sourced food, some great local vendors, live music and a variety of beers from the Louisville Beer Store. Celebrating the revitalization of the city's East Market district in a sustainable way, NuLu is a free, family friendly event that takes place among the area's art galleries, specialty stores, antique shops and upscale restaurants. If you're looking for a beer tasting and you've haven't been to NuLu, this is a great chance to check out one of Louisville's favorite festivals. Organized by LouisvilleBeer.com, the annual Louisville Craft Beer Week (LCBW) will be promoting craft beer culture in this nine-day festival that goes from September 13-21. As a showcase for many of Louisville's finest restaurants, pubs, breweries, retailers and entertainers, you can enjoy the local brewing industry at many events that range from beer and food pairing dinners, beer walks, promotions and local brewery parties. As a great place for plenty of beer tastings, you can look for many local Louisville breweries including Against the Grain, Apocalypse Brew Works, BBC Brewpubs, Cumberland Brews and New Albanian Brewing Company. With over 60 events occurring at last year's event, there will be more than enough beers here to pique any palate. A new microbrewery that is a great representation of Louisville's beer scene, Gravity Brewing is the city's first microbrewery and tasting room. Opened just recently, Gravity has already become a popular hangout with the community and features a large, open space for beer tastings, with the brewing area located on the opposite side of the bar. Not only is Gravity a comfortable place to enjoy good brews, you can also use the ping-pong and pool tables with your friends, order food from the attached American Legion Post 111 or even bring in your own food pairings! If you want to get in on the hoppy beer trend, you might want to try the Acceleration Double IPA, or, if you're in the mood for something lighter, perhaps their Mendacious Blonde Belgian will do the tasting trick! Whether you love beer or you're looking for a new idea for date night, there are a few places you can visit this fall for a beer tasting date in Louisville. Whichever place you choose, you can count on it being a unique and interesting dating experience that not a lot of other people have tried!